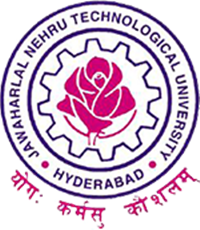 JNTUH B.Pharmacy 2-1 Results 2018: Jntu Hyderabad University had released the B.Pharmacy Results for the 2nd year 1st semester R17, R16, R15, R13, R09 exams November 2018 in the official website jntuhresults.in. Students can check JNTUH b.pharmacy results name wise Along with Marks list from below links. Jntu Hyderabad University has conducted the 2-1 B.pharmacy Examinations November 2018 for the R17, R16, R15, R13, R09 Regulations of Regular and Supplementary People. After completion of valuation today it has released with marks. So you need to check your marks with your register hall ticket number and date of birth while checking. Finally the day came out to find your marks. Check jntuh b.pharmacy 2nd year 1st sem marks regulations wise from below. Those who are not satisfied people can apply for the revaluation or recounting requests as per procedures. Enter your hall ticket number, Date of birth and captcha code.